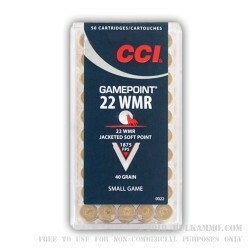 Made in Idaho, CCI ammunition since 1951, has been a premier manufacturer of rimfire and centerfire ammunition. 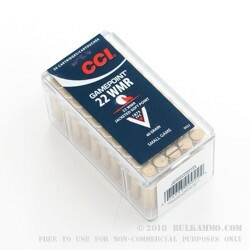 Well regarded for producing high performing .22 ammunition, CCI operates under ATK, who also owns other quality manufactures like Federal Premium, Spear and Outers. 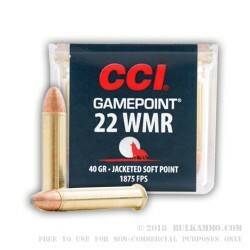 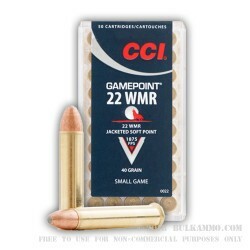 CCI Game Point is designed to be used with small game and is an excellent varmint round. 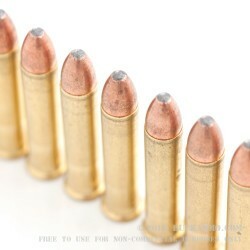 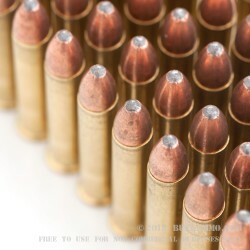 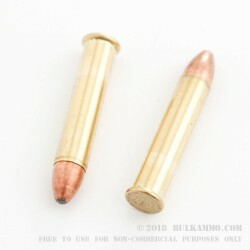 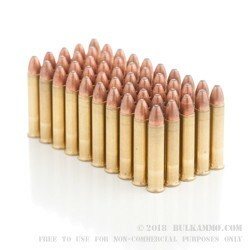 Loaded with a 40-grain jacketed soft point projectile into a clean burning, rimfire primed brass casing, these noncorrosive rounds offer deep penetration and expansion through light-skinned prey. 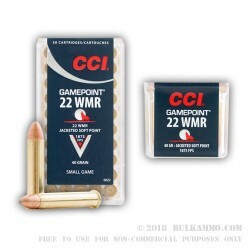 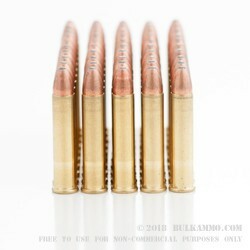 Unlike other 22’s, these rounds mushroom and expand instead of fragmenting, allowing for terminal performance without excess damage to the meat. 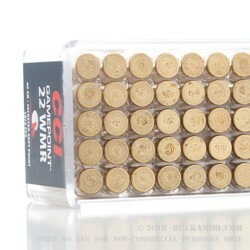 Capable of a muzzle velocity of 1875 FPS, these quick moving .22 Winchester Magnum rounds come 50 to a box.